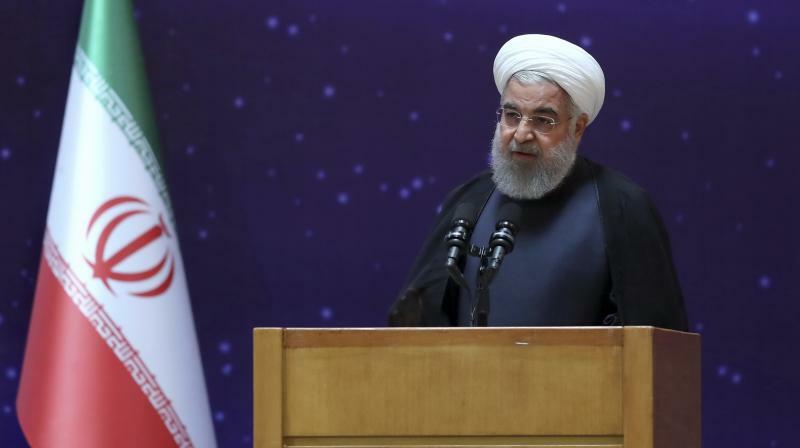 Tuesday's US withdrawal from the accord was a "violation of morals", Rouhani said in remarks carried by state television. "If the remaining five countries continue to abide by the agreement, Iran will remain in the deal despite the will of America," he said during a meeting with Sri Lanka's president. US President Donald Trump's pullout has upset Washington's European allies, cast uncertainty over global oil supplies and raised the risk of conflict in the Middle East. It has also highlighted divisions among Iran's political elite. After arriving in Beijing on Sunday, Zarif said: "We hope that with this visit to China and other countries we will be able to construct a clear future design for the comprehensive (nuclear) agreement." China's Foreign Minister Wang Yi said he believed Zarif's tour would "improve countries'... understanding of Iran's position." and help Tehran protect its "legitimate national interests". "America's exit aims to break the Iranian people's resistance, which is not new ...but today's problem is not US sanctions, it's that some officials look towards outside rather than looking at domestic potentials," Guards commander General Mohammad Ali Jafari said, the state news agency IRNA reported. On Wednesday, Jafari had cast doubt on European nations' ability to save the nuclear accord.